The sequin accents bring the glitz to this evening qipao dress. 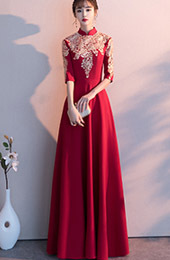 An elegant evening dress. A beautiful pink color..S hip is a little big and altered it at a tailor's. 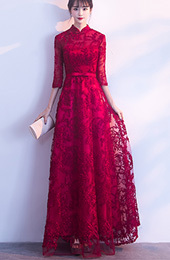 I liked the dress, the workmanship is good and the fabric of good quality.